If you were to ask a structural steel expert how to expedite a construction project, the answer you get might surprise you. 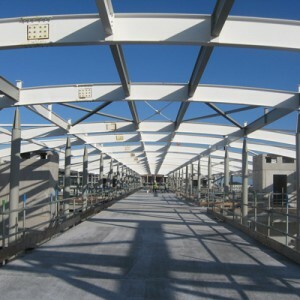 Your choice of material can dramatically alter the time frame you can expect to complete a project, and that’s just one benefit to choosing structural steel over alternative materials. Structural steel benefits from a rapid design and fabrication phase, so it’s quick to produce and erect. 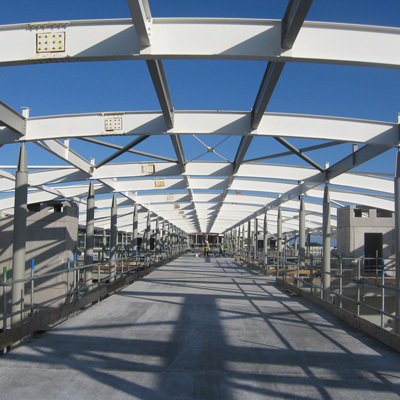 With structural steel, workers can finish a building’s frame in significantly less time. It’s important to understand how those benefits play out before you place your order. The speed factor comes into play during production. It’s not likely that workers on the ground will be able to work with structural steel any faster than other materials, but the shipments will arrive on time. Any steel fabrication expert can tell you that the best way to ensure work is done on time is to ensure that you reduce potential stoppages. Structural steel can save up to 7% of costs on average when compared to other materials of similar strength. If that sounds surprising, it may shock you even more to learn that structural steel has been a cost leader for the past 30 years, beating the cost increases in concrete by 40%. The biggest reason for that has to do with the labor costs. We can produce far more steel per hour today than we could in 1980, which is a major factor in cutting costs. Bio: Lyle Charles Consulting offers expert advice on claims, structural steel and turnaround services. For arena construction consultants, contact Lyle Charles.